Who’s been stealing the cakes on the sly. It could be the mammoth – or maybe the knight? Or that mummy who’s lurking nearby . . .
Join George for a Night at the Museum-style adventure in the seventh title in the George’s Amazing Adventures series. This time someone’s been stealing cakes from the museum café and George (armed with 25 muffins as bait) is off to crack the crime! Can George and his faithful puppy Trixie track down the criminal without getting squashed by a great big mammoth? Illustrated by the award-winning Lee Wildish. 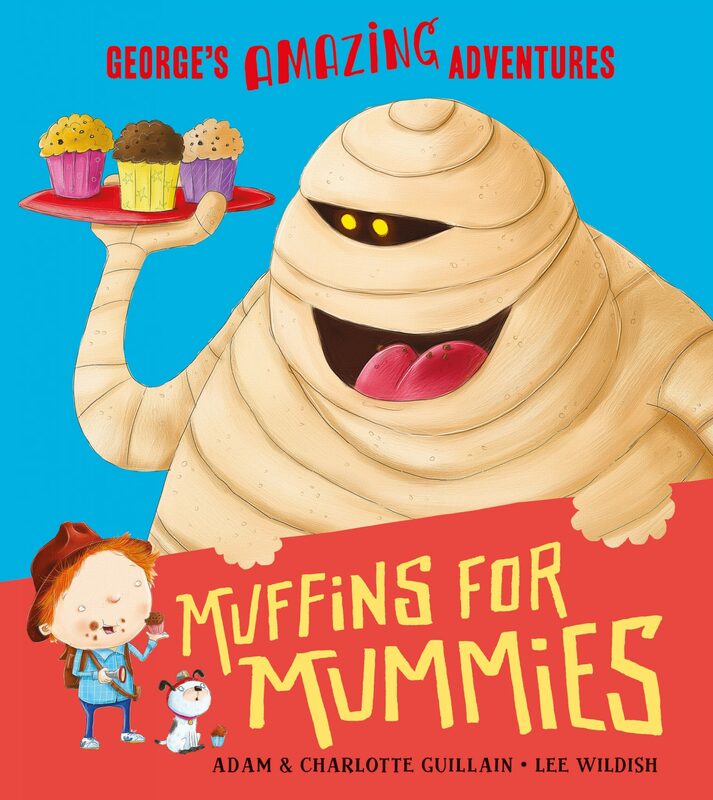 Click here for a Muffins for Mummies downloadable activity pack.